The field of real options is concerned with the management and financial valuation of operational flexibility in business endeavors. From the very outset, energy and commodity markets -- which play fundamental roles in the worldwide economy -- have provided a relevant context for real option analysis, both in theory and practice. 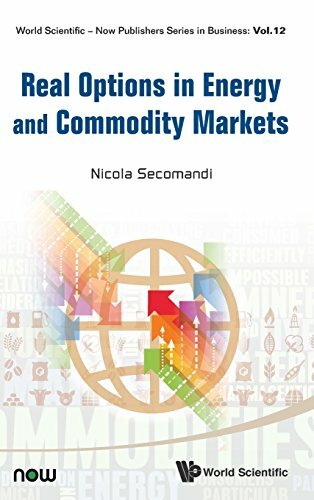 This volume is a collection of six chapters covering recent research on real options in energy and commodity markets, reflecting the significance of these markets for real option analysis. The volume is divided into two parts -- the first on theory and the second on methods and applications. The two chapters in the first part of the book respectively address commodity storage and the concept of convenience yield, and how the management of real options can be impacted by the trader's own market decisions in the context of commodity shipping. The four chapters in the second part of the book propose and apply real option models in various domains -- modeling the evolution of futures prices of emission certificates; managing copper extraction illustrated with an application to a project at Codelco, Chile, the largest copper producer in the world; the core ideas behind real option analysis in the context of the merchant management of hydrocarbon cracking operations; and optimizing the portfolio of contracts that oil refineries use to market their gasoline production.